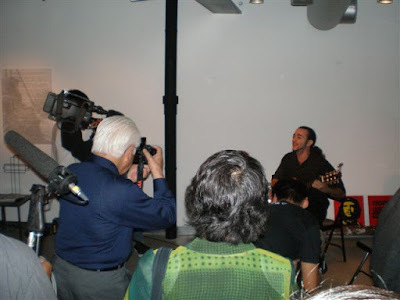 Alexander had a short performance at the opening party of the Che Guevara exhibition in Harajuku on October 8, 2007. Below are the pictures then. The venue was T.H.C. located in Harajuku has a cloth shop at the first floor with a garden terrace. The exhibition was held on the 2nd floor which was too small for all of the visitors fit in at the party. 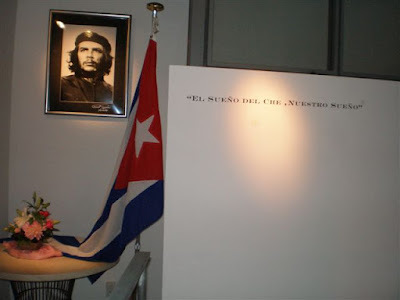 NHK TV clew came to take a shoot for a special TV program of Che Guevara and plans to have it on air in early December. As soon as the schedule is set, the date and time will be announced here. 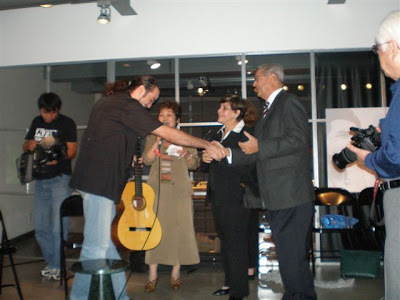 The couple, the new Cuban ambassador and his wife to Japan, came to the party to celebrate the opening. 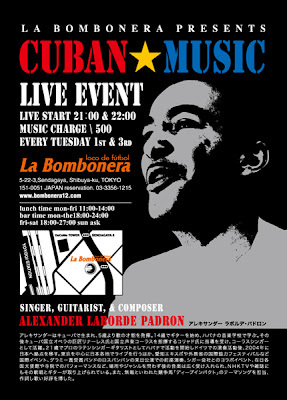 After a long time, Alexander is going to play solo guitar on Tuesday, the 23 of October. Details are above. The place is a Sport bar La Bombonera which is owned by a T-Shirt company known by football fans. It is located in Yoyogi-Sendagaya and in a five minutes-walk from East Exit (Higashi Guchi) of Yoyogi station. It's also close to Shinjuku Minami Guchi (South of Shinjuku) and in several minutes walk from NTT DoCoMo building. When you come around, please stop by and say hello to Alexander! Hope you enjoy his guitar play with his bare hands.